Do rappers or any music artists need terrestrial radio to be successful? 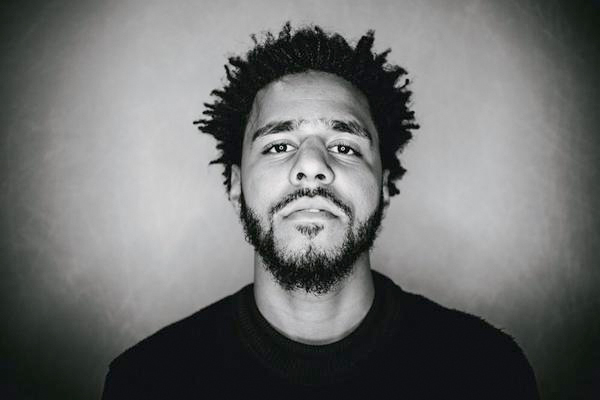 Rappers like J. Cole, Kendrick Lamar, Joey Badass, Action bronson and many more have experienced music success with little help from terrestrial radio. Soon every car will be equipped with wifi and that will put the nail in the coffin with terrestrial radio, but till then lets speak on it. Do rappers or any music artists need terrestrial radio to be successful? This is one of the most popular questions I got in the last few months. Terrestrial radio has taken a big hit losing millions of dollars in advertising to the internet. Internet radio and streaming has taken over the music industry. Many terrestrial radio stations have worked hard to stay relevant by creating Youtube channels and having on air personalities create podcasts. This may not be the best way for terrestrial radio to stay alive. There are many flaws with terrestrial radio that people have fought over for many years. The pay for play syndrome has plagued terrestrial radio throughout its existence. People are tired of hearing the same songs over and over, they also rarely discover new talent. People want to hear new music by talented artists they never heard of before. This is one of the exciting things about music. Remember the first time you heard Biggie Smalls, it was almost magical. So if terrestrial radio wanted to stay relevant they should have been more American Idol than anything else. They should have worked harder at discovering new talent. The reason why is because of money. They feel like there is no money is discovering new talent. This is why the internet and streaming is winning. They tend to cater to indie music and discovering new artists. No one wants to have 3 songs on there playlist. I personally have up to 6 playlists with 1,000's of songs. My music taste varies between Jazz, Hip Hop and some Rock. So do music artists still need terrestrial radio? The answer is a confident no. What are the options to getting terrestrial radio spins? There are many options because of streaming and online radio. There are thousands of internet radio stations and are always looking for new music. Even though you don't need terrestrial radio anymore you may still have to have a marketing budget. Many larger indie radio stations have marketing packages and some will play your music for free. Then you have facebook and twitter and all the other social media sites. They charge to help you build your following. If you want to build a fanbase quickly you need a budget to invest in building your social media. I understand that as a indie artist money is a major issue so I will also list ways you can work the internet without a budget. Keep in mind spamming people is not the way. Always ask permission to email someone or use a email service that has a opt in list, meaning that the people the receive their emails agreed to it. Now you have the streaming websites like spotify and googleplay. When you post your music on these sites unless your linked with someone popular no one will hear your music. It still needs to be marketed so people know its there. Spotify and googleplay have advertising packages but they can be expensive. Artists can use their spotify pages and use facebook ads as a cheaper way to promote their music on spotify. I want to build my fanbase but I don't have a budget? This basically means you have to work incredibly hard to be heard without spamming people. You don't want to develop a reputation for being a spammer because people will ignore you. The best way for a indie artist to promote their music online is through groups and message boards. Usually these type of groups welcome music links and discovering new artists. Some message boards even have sections for indie music. You can also start groups on facebook. A group is usually for a specific topic like indie music. You can create the group about indie music and invite people to join. People that want to hear indie music will join and others who don't will not. This is a great way to see who wants to hear your music. This also takes a lot of work because there are thousands of message boards and groups. Also, many groups and message boards require that you join and most have to be approved. This keeps them from getting too much spam. So here is an overview about what I talked about. - Building your fanbase without a marketing budget will take you longer to do, sometimes 8-10 years. I hope this helps you get a clearer idea of what you should be doing as a new artist. I love music and I will work hard to help bring new artists a platforms so people can hear their music.